Apple said Tuesday that surging iPhone sales helped propel a sharp rise in quarterly profits, as the tech giant delivered a record 48 million of the smartphones. Profits rose 31 percent to $11.1 billion (roughly Rs. 72,240 crores), while revenues jumped 22 percent from a year ago to $51.5 billion (roughly Rs. 3,35,171 crores), Apple said. The California tech giant, which in September unveiled revamped versions of the iPhone, said the number of units sold jumped 22 percent from last year while revenues lifted 36 percent. Apple, the world’s biggest company by market value, gave back early after-hours gains and dipped 0.2 percent to $114.30 on the results. Chief executive Tim Cook said Apple closed the books on its fiscal year, calling it “Apple’s most successful year ever,” following strong iPhone sales and a range of new or upgraded devices. “We are heading into the holidays with our strongest product lineup yet, including iPhone 6s andiPhone 6s Plus, Apple Watch with an expanded lineup of cases and bands, the new iPad Pro and the all-new Apple TV, which begins shipping this week,” Cook said in a statement. For the full fiscal year ending in September, Apple booked a whopping $53.4 billion (roughly Rs. 3,47,537 crores) profit, up 35 percent, while revenues rose 28 percent to $233.7 billion (roughly Rs. 15,20,964 crores). Some $12.5 billion (roughly Rs. 81,352 crores) in revenue came from China down five percent from the past quarter but double the level of a year ago. The iPhone was the key driver for Apple, bringing in more than 60 percent of its revenues for the past quarter. But iPad unit sales fell 20 percent in the quarter to 9.9 million units. No specific sales figures were given for the Apple Watch, but the results showed revenue from “other” products was $3 billion (roughly Rs. 19,524 crores) over the same period. Apple Watch “has already had a tremendous effect on customer health and fitness and the stories we’re hearing about its impact are truly inspirational,” he added. “The reach of our ecosystem continues to grow, and iOS is changing more and more aspects of our customers lives in very meaningful ways from their health to their homes to their cars,” Cook said on the earnings call. Cook visited China last week and said Apple will continue to invest in the country despite slowing growth in the world’s second-largest economy. 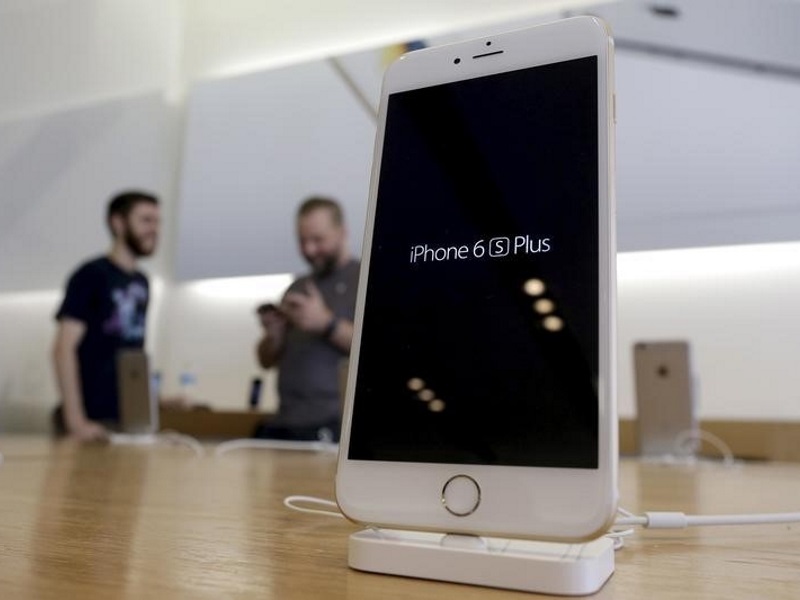 The launch of the company’s large-screen iPhone 6 and iPhone 6 Plus last year boosted its sales in China, though it faces sharp competition from domestic competitors such as Xiaomi and Huawei. On his Chinese Sina Weibo or microblog account, Cook posted a photo of himself climbing the Great Wall and said he was “Happy to be back” in China.